Two months after New York City FC announced Jon Patricof was stepping down as President of the club, Brad Sims was introduced as the newest Chief Executive Officer of NYCFC. According the club’s press release, Mr. Sims will be “responsible for all aspects of the organization on a day-to-day basis, lead the front office staff and continue to build on the Club’s successful first four years.” Sims, a former New Yorker, spent time in the NBA’s league offices working on marketing, sales, digital/social media, and game day presentation. For the last six years, he served as Executive Vice President of Franchise Operations & Chief Revenue Officer of the Cleveland Cavaliers. Sims, was 2015 Sports Business Journal 40 under 40 honoree. He has been in the sports industry for the last 17 years. Brad has worked for Comcast-Spectacor (Philadelphia 76ers and Philadelphia Flyers) as Senior Director of Group Sales and Event Services. He also became the Senior Vice President of Opening Day Partners LLC, a company that owns and operates several minor league baseball teams. Of note, Sims was involved in the construction of three new stadiums and the launch of new franchises in Lancaster, PA, York, PA and Charles County, MD. 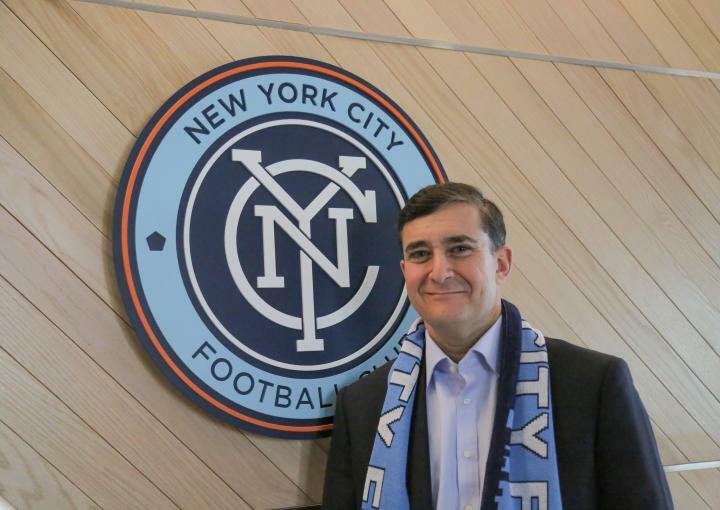 Jon Patricof, named President of NYCFC back in January of 2016, will now step into an undefined role on the board of directors. During his 3 year time in the front office, Jon increased the club’s presence in the region by expanding the youth academy (including adding a girls academy), constructing the Etihad Training Facility, and overseeing the New York City Soccer Initiative, constructing 50 mini-pitches across the 5 boroughs. Additionally, Jon was always the face of the front office for NYCFC. You could spot him regularly at fan events at Yankee Stadium and at the training facility. He was a great ambassador to the beautiful game in NYC. Yet for all the good that Patricof was able to accomplish for NYCFC, perhaps the most lasting legacy of his tenure will be his failure to secure a soccer specific stadium for the club. Yankee Stadium was meant to be a temporary location. Now it looks to be the home of NYCFC for it’s first decade of existence. Furthermore, the club’s lack of communication with regards to the stadium have soured a growing number of supporters. As Jon transitions to his new role on the board of directors, Sims will have some big shoes to fill and some glaring needs to address right away. Job number one for Sims is to finally close the deal on a soccer specific stadium. Fans demand better transparency from the front office regarding the stadium process. That is something that has been sorely lacking in 2018. Patricof and NYCFC haven’t said anything about the stadium since a July New York Times article. It’s been 4 months since we’ve had any comment from the organization. Mr. Sims should give fans a progress report on stadium situation, whether it be positive or negative. A little honesty would go a long way toward making amends with supporters. NYCFC slipped slightly during the 2018 season for a variety of reasons: a coaching change, injuries, and international duty. Jesus Medina took a Designated Player (DP) slot and performed well but not at what many would consider “DP quality.” Jo Inge Berget was brought in as NYCFC’s most expensive non-DP player and was inconsistent. 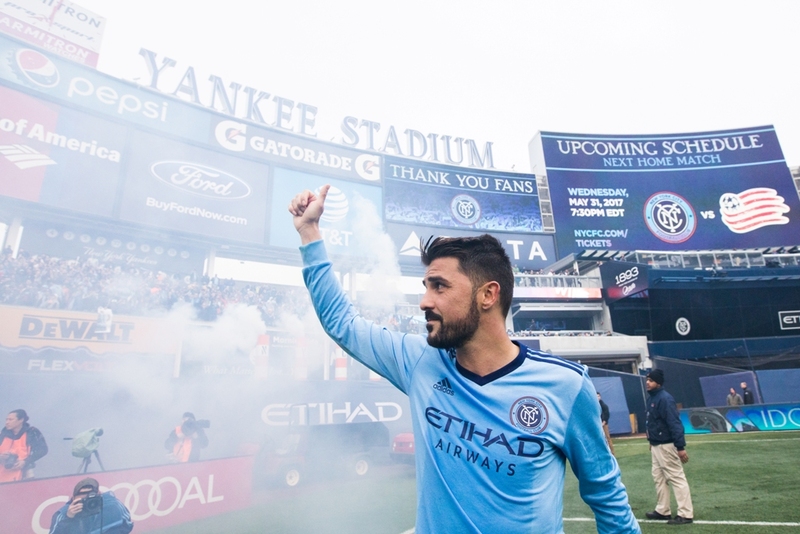 Most pressing to fans, NYCFC legend David Villa is on his way to Japan’s Vissel Kobe. Sims has to put his mark on the direction this club is going regarding player personnel. Young DPs may eventually lead to a profit, but do they cost the team fans in seats? And is the organization better off spending more money on a known talent? Sims must also figure out a way to retain loyal supporters. The club must increase the value of season tickets by not undercutting season ticket holders. NYCFC needs to provide better rewards through the Cityzens website as well. At the same time, Sims’ sales and marketing know-how needs to be applied to attracting new fans. It’s no secret that fewer and fewer fans are turning up to Yankee Stadium to watch NYCFC. The club has worked tirelessly over the last 4 through its community service projects, special events, and social media presence to gain a foothold in the city. However, attendance continues to drop. A new set of eyes and some fresh ideas could provide the necessary spark to energize the local soccer fans. Finally, Sims and Claudio Reyna, NYCFC’s Sporting Director, need to expand the organization through USL and NWSL squads. Players like James Sands and Jonathan Lewis benefited from playing time with USL’s Louisville FC in the 2018 season. Kwame Awuah and Daniel Bedoya languished on the bench with minimal playing time this year. Homegrown academy players like Justin Haak, and Kwaku Owusu could make the move to the senior team in 2019. Having a USL squad, under NYCFC’s tutelage and supervision, could benefit players and senior club alike. Building a brand in New York City also includes the creation of a NWSL (National Womens Soccer League) squad. NYCFC’s girls soccer academy began in February of 2017 and includes four age groups. They are one of only five MLS teams to currently have girls academies. Women’s soccer has become increasingly popular due to the decades long success of the US Women’s National Team. With the 2019 Women’s World Cup approaching, American eyes will be on the sport. It would be the perfect time to launch our own women’s team. Many would agree that Jon Patricof righted the ship following the tumultuous 2015 season. There were many successes but also some glaring failures under his leadership. Now, Brad Sims enters the scene bringing a wealth of knowledge from time with both minor league clubs and major professional sports franchises. While he faces numerous challenges in this new role with NYCFC, we should all be hopeful that he can steer this organization toward the success future fans demand.